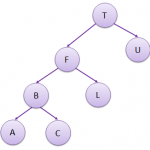 A Binary Tree is a data structure used in some algorithms to store data. 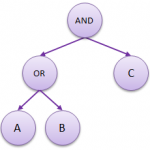 In a binary tree each node can have up to two children. A Breadth-first traversal consists of accessing each node, one level after the ohter. On each layer the nodes are accessed as they appear, from left to right. There are three depth-first traversal agorithms which are all based on a recursive approach.